You have probably heard that an eye exercise program brings important benefits for your eyes, helping them relax and alleviating eye pain. An important aspect many eye specialists forget to mention is the fact that exercising your eyes could actually improve your vision and help you see better and clearer. Even though there are studies that suggest this effect is real, and it has a physiologic base, most doctors continue to recommend glasses, contact lenses or laser therapy as the best solutions to vision problems. While wearing glasses or undergoing laser surgery could solve vision problems in the short term, many people realize that their sight starts to worsen despite receiving medical help. And one reason for this is because traditional vision improvement methods deal only with the symptoms of bad sight, instead of attacking their causes. The right eye exercise will get to the root of the problem, while spectacles only deal with your symptoms. Eye exercises can hence improve your eyesight, while spectacles, in most cases, cannot. Is Your Eyesight Getting Worse Over Time? Many men and women of all ages suffer from vision problems and notice their sight getting worse as time passes. Unfortunately, this is a very common problem that affects a large percentage of the population. Many people start considering wearing glasses, while others think about getting laser eye surgery. It’s actually very common for your eyesight to get worse over time, even if you wear glasses. The worst part is that many adults are even facing the perspective of blindness, when realizing their sight gets worse day by day, and they have to change glasses every month to keep up with this change. If our vision continues to worsen, what should we expect in ten years? Contemplating the idea of blindness is frightening and depressing. The right eye exercises could be just the right solution for better eyesight without the problems associated with prescription lenses and surgery. Unlike glasses that have the purpose of correcting vision, eye exercises help to HEAL your eyes by reversing the damage caused to your eyes through a lifetime of bad visual habits. Instead of correcting and eliminating symptoms, an eye exercise program treats and eliminates causes. 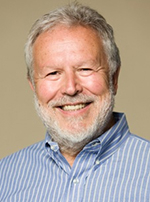 A great, but not frequently mentioned name in optometry is Dr. William Bates. His ideas were unconventional, and despite changing the lives of many of his patients with his natural vision improvement concepts, the optometric community labeled him a revolutionary, preferring to ignore his findings, just because they were different from what was commonly believed at the time. Dr. Bates did research on eye accommodation (the ability of our eyes to focus), and his conclusions contradicted the generally accepted theory of that time, the one created by Dr. Helmholtz. Helmholtz’s theory stated that accommodation was possible because of the change in the shape of the lens, triggered by the action of the ciliary muscle. Dr Bates, however, had a different idea. He suggested that it isn’t the change in the shape of the lens that leads to accommodation, but the change in the shape of the eye ball, caused by the extra ocular muscles. 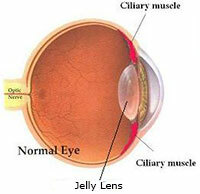 Helmholtz’s theorized that it is the thickness of the jelly lens, controlled by the ciliary muscle, which is mostly responsible for accommodation. This is the theory accepted by most eye experts today, and it is the theory I was taught in high school biology. The application of this was straightforward. In order to improve eye accommodation, we have to improve the flexibility of the muscles that change the shape of the eyeball. And that can be done through an eye exercise program. This was Dr. Bates’ solution to eyesight problems, and the idea on which he created the Bates method of improving sight. Another very important concept tied to Dr Bates is shifting and swinging, and they both refer to ‘saccadic eye movements’. Shifting refers to the fact that our eyes continue to move from one point to another, avoiding fixation. The muscles that surround the eye have an important role in these continuous ‘saccadic’ movements. This is an easy to understand characteristic of our eyes. If we tried to fixate a single point, without shifting our eyes from it, we would see that the image soon loses clarity, our eyes become tired, and we feel the need to look away. If our eyes are not continuously encouraged to move, if we force them to fixate at the same small area (e.g. a computer screen) for long periods of time, our sight will eventually lose clarity. That is why it is so important to do various eye exercises. A regular eye exercise program could help the eye muscles regain their flexibility, which will increase our saccadic eye movements and the clarity of our vision. Swinging, or apparent movement, is a direct consequence of shifting. It refers to the illusion that a stationary object is moving in the opposite direction to your eyes while shifting. With a normal set of eyes, when you shift your vision from point A to point B, point B will quickly become clearer, meaning you have achieved a successful swing. The eyes of people with poor eyesight have been found to shift less rapidly than those of people with normal eyesight. With a slow shift, swinging is either prevented, lengthened, or in some cases, even reversed. What happens here is that when you shift your vision from point A to point B, instead of point B quickly becoming clearer than point A, the two points may become just as clear, resulting in eye strain and poor vision, or point A may even be clearer than point B. In order for your vision to be clear, the previous point of fixation (point A) must be less clear than the current point of fixation. To conclude, if eye movement is what determines accommodation, exercising the eyes can help them function better. These are the two physiological arguments Dr. Bates used when developing his theory. 2. Treating a lazy eye – when one of the eyes is not as developed as the other one, we commonly refer to this condition as lazy eye. To prevent cross-eyes, people suffering from this problem, usually children, can perform eye exercises. Exercising could help the lazy eye recuperate and achieve the same level of development as the healthy eye. 3. Treating dry eyes – because eye exercises can improve the fluid balance in your eyes, you can eliminate dry eyes with a good eye exercise program. 4. Muscle flexibility and clear vision – continuous exercise will improve eye muscle flexibility. The clarity of your vision is likely to improve thanks to the resulting improvements in shifting and swinging. There are many eye exercises you could try to improve your vision, but just to give you an example, here is a popular eye exercise you could try out. Close your eyes tight, squeeze them, and keep the muscles contracted for a few seconds and then relax. This is a great exercise for people who suffer from eye tension, because it brings immediate relaxation. To learn more about exercises for the eyes and how they can be used to improve vision, click the link to read my article on how to improve eyesight naturally.